Comfortable, well-made, and overall a great place to sit down and search for inner peace– or, at the very least, to catch a breather before going back to my busy schedule without feeling like my head is going to explode. 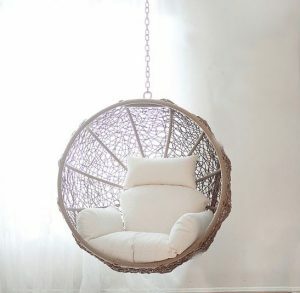 Although the stand was included and the chair is actually “all weather”, we suspended our round swing chair Zolo from the ceiling in our living room—we wanted to float like in a famous hanging bubble chair. And that was the right decision because the 360-degree motion really feels like swinging in the breeze. The soft cushion fits snugly within the chair frame, inviting me to sit back, take a deep breath and relax. It is larger than I expected and quite comfortable so I can tuck my legs in and still be comfortable. I have not noticed a single flaw, besides being too comfortable so it is not easy to get out of it. I absolutely love this chair and so does everyone who comes over. Even the kids love sitting and reading in it which promises swinging winter holidays for the whole family. Most likely it will be put outside this summer as it came with a sturdy frame and a soft but washable pillow. The chair is sturdy, large and beautifully crafted, so it will perfectly fit on our balcony. It took more time to unwrap the chair from the pallet than it did to assemble it. It’s easy to put together, took me about 10 minutes after unwrapping everything. The hanging hardware (we used the hanging chair swivel power hook by Byer of Maine) was already installed so the only thing we needed to do is to attach it to the ceiling. Using the stand is even easier. 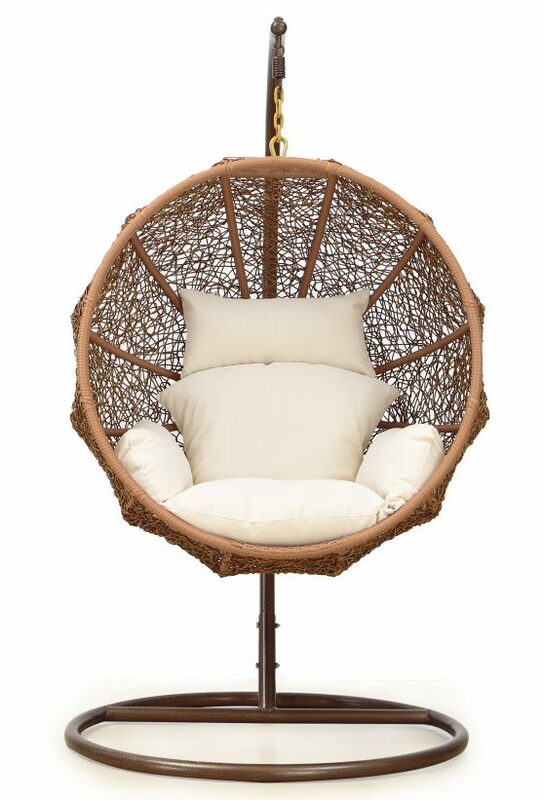 The basket is made of synthetic rattan which makes this chair a perfect piece of outdoor furniture. 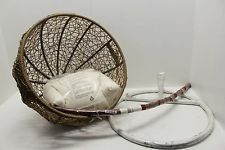 As we decided to put it in our living room, a natural rattan chair would have an additional charm and would fit better, but I think it wouldn’t be possible to wave natural rattan this way. 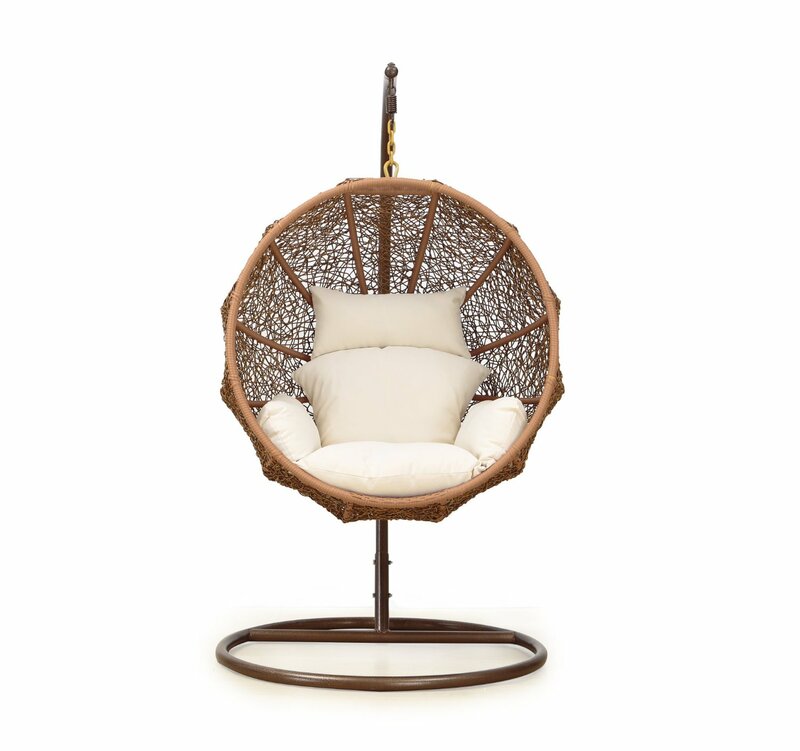 And I think the design is really beautiful- it looks better than every other round swing chair I’ve seen. So this kind of synthetic version is acceptable and the pillows give the chair that special sense of warmth and the overall aesthetic appeal. This awesome design will complement any modern home. But the chair is not only beautifully designed– it is also comfy and fun. Highly recommend it! 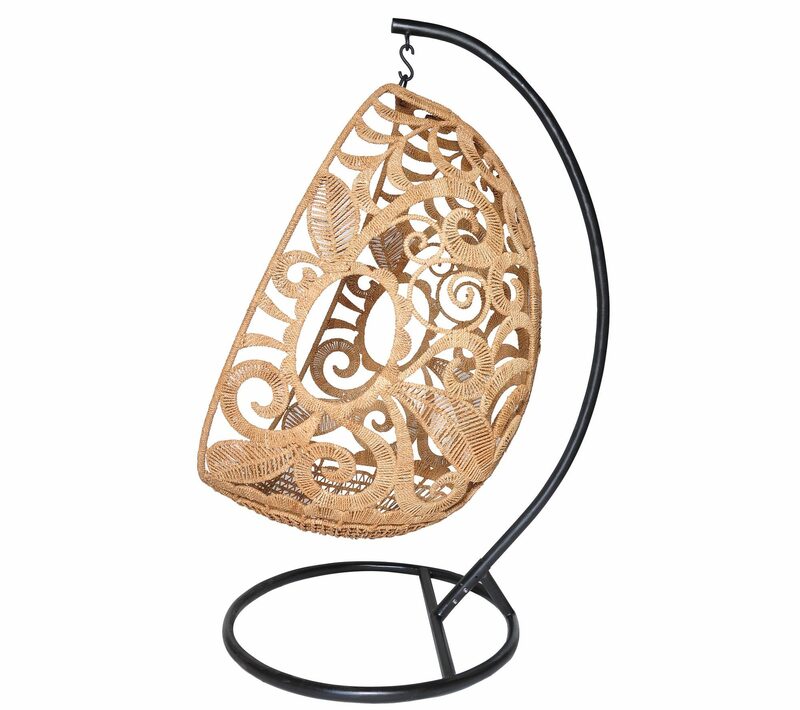 While most of the other products are hammock-like swings, there are a few comparable hanging chairs which are not only perfect for your garden or patio but with their awesome design fit perfectly to any living room, especially for curling up in front of your fireplace during cold winter evenings. 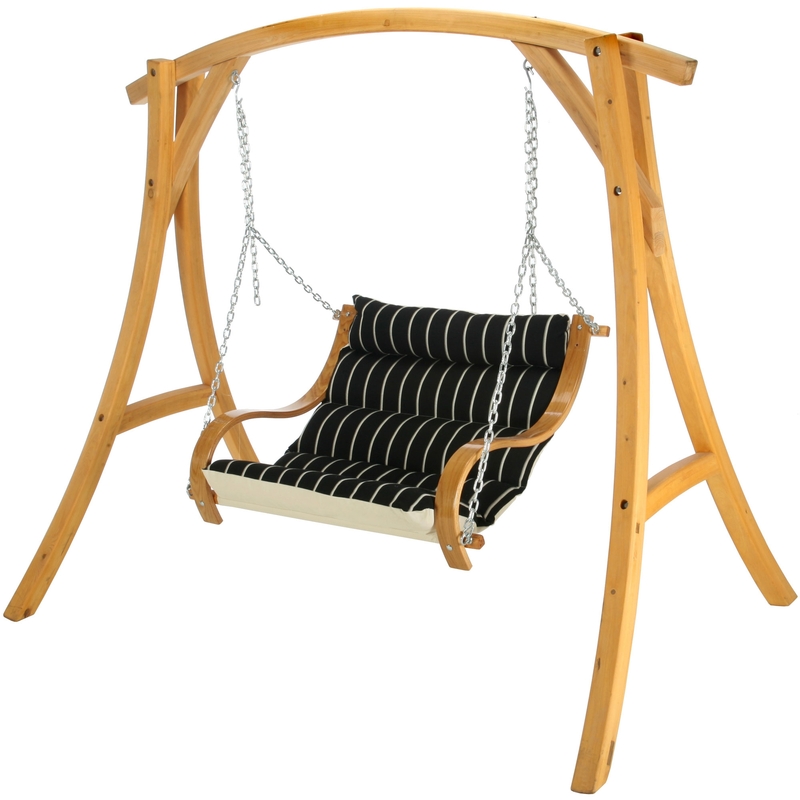 A swing chair is not only a piece of furniture. It combines a high level of comfort with sophisticated design. It has an energizing and uplifting effect. It is an easy living symbol. It is a lifestyle. 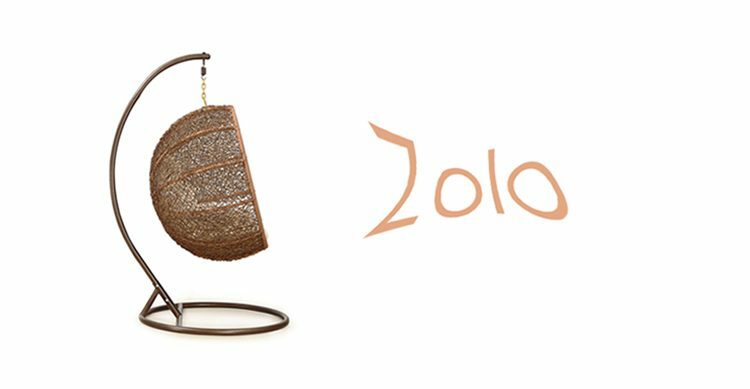 This beautiful Hanging Egg Chair by Jo Liza is a product of her latest line of furniture and home accessories inspired by organic materials to convey the essence of earth, sea, and fire.